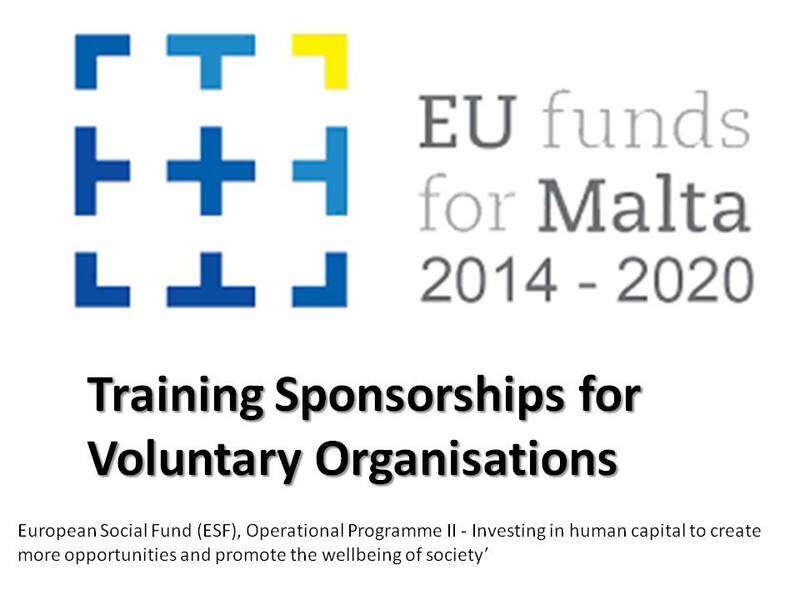 MCVS is a partner in a project funded under the European Social Fund (ESF), Operational Programme II – Investing in human capital to create more opportunities and promote the wellbeing of society’ for the 2014-2020 programming period.A number of sponsorships to attend training courses, job shadowing, conferences/seminars/ workshops abroad (please refer to section 2 for more detailed information on the types of mobilities) are being offered under Knowledge, Training, Communications and Support Measures in Support of Vulnerable Groups that is being led by the Ministry for the Family, Children’s Rights and Social Solidarity (hereinafter referred to as MFCS). Eligible to apply for these opportunities are official members and employees of registered voluntary organisations, that are enrolled and compliant with the Commissioner for Voluntary Organisations and that are active in the field of the provision of support and services for disadvantaged and/or vulnerable groups. Promote and facilitate the acquisition of skills and competencies for volunteers/employees to address the needs of vulnerable/ disadvantaged groups. Foster quality improvements in the services and initiatives implemented by voluntary organisations for the benefit of vulnerable/disadvantaged groups. Facilitate lifelong learning opportunities and continuous professional development for volunteers/employees working with vulnerable/disadvantaged groups. Enhance the international dimension of education and training, through cooperation with organisations and training institutes that work with or specialise in the provision of services for vulnerable/disadvantaged groups. Foster transnational cooperation across difference regions of the world through the sharing of good practices and cooperation. Empower volunteer organisations and improve the quality of volunteering. Designed to offer training sponsorships abroad to support employees/members of Voluntary Organisations that support disadvantaged and/or vulnerable groups. ​Community Mental Health , Disadvantaged Children , Children with Challenging Behaviour , Parental Alienation , Working with Asylum Seekers , Disadvantaged Adolescent , Low-income Families , ​Positive Parenting , ​​Decision-making, assessment, risk and evidence , ​​​Quality Assurance and Service Audit , ​​​​Social Work Management , Child Protection Services , Residential Care , Aftercare , ​Health issues faced by vulnerable groups , ​Managing Abusive Behaviour , ​​​Domestic Violence , ​​​Disability – Independent Living Skills , Disability – Employability , Disability – Degenerative Disorders , ​​​Parents/Guardians of persons with a disability , Fostering Adoption , Financial Literacy , Sexual Assault , Human Trafficking , Community Development , Relapse Prevention , Harm Reduction Strategies , Assessment Tools , Cocaine Abuse , Synthetic Drug Abuse , Mothers with addictive behaviours and Community-based addiction intervention .